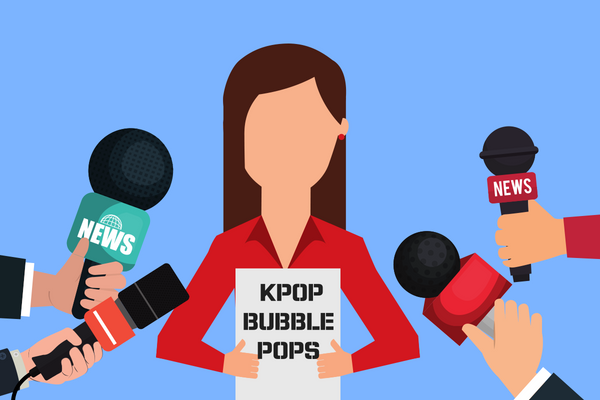 [Opinion] Are K-Pop Achievements 'Fake News'? Home OPINION Are K-Pop Achievements ‘Fake News’? The past year and a half have been good for Korean popular music. In 2017, general fans of K-pop and boy group BTS saw the group invited to and performed at American Music Awards in Los Angeles. It was the first time that a K-pop group had been featured on the show since Psy’s performed his viral phenomenon “Gangnam Style” with MC Hammer in 2012. Since then, the group has gone on to also perform at the Billboard music awards with new achievements that generate countless articles across Korean media — and occasionally western news outlets too. There have been other groups pushing against the “western wall” that is the U.S. music market. Super Junior continues to regain their strength as Hallyu wave originator as members finish their military service; GOT7, who have a global appeal similar to BTS, is on a world tour and have a media blitz in the U.S. with interviews with Buzzfeed, Access Online, Billboard, and “Good Day New York;” Red Velvet became the first girl group to hold an independent fanmeet in the U.S. and BLACKPINK has reportedly gotten offers to appear in western media. These groups, along with many other (NCT, Seventeen, TWICE, etc.) have huge global fandoms and are heavyweights in the K-pop music scene. Should one of these groups make a comeback you can expect their songs to perform well on domestic music charts, sells hundreds of thousands of CDs, and their music videos to attracts millions of views within the first 24 hours. On July 6, BLACKPINK’s “DDU DU DDU DU” became the most viewed K-pop video in 24 hours on YouTube. The song surpassed BTS’ “Fake Love,” and Psy’s “Gentleman,” which had 36 and 35.9 million respectively, with 36.2 million views. It later reached 50 million views in 50 hours. BTS landed on the billboards Hot 100 and was named as a top internet influencer by Time Magazine. K-pop seems to be hot and in high demand…but is that true? Are these numbers “real” or are they “fake news”? Every time I head that a K-pop group is going to be interviewed by so-and-so or appear on this or that entertainment show or broke some record or had a major achievement I always take it with a grain of salt. Why? Becuase I know what is behind the numbers. The numbers aren’t “real” in the sense that each YouTube view comes from a completely new person; numbers are numbers but the process to get them is, well, fraudulent. There are hundreds of group-specific guides on the internet that come in multiple languages created to help fans all over the world best support their favorite artists. 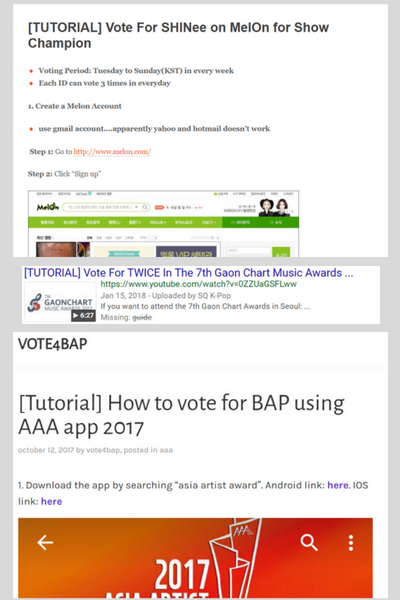 It has information on voting for music shows, how to stream music, and the best ways to make sure your YouTube view counts. VPNs, multiple devices, different voting accounts using social media and several email accounts, internet-based services that allow international fans to send text-votes and make it seem like it is from a Korean-based phone number, auto-refresh, different browsers, hashtag guides, incognito or secret modes, and suggest playlist organization to make the most of your music streaming, etc. As amazing as these guides are (And they are. A lot of research, time, and efforts has gone into each guide), they also inevitably lead to inflated, and in some cases enormous numbers that achieved by a smaller group of people. For example, if a K-pop group has 20 million views in the first 24 hours on YouTube, those aren’t 20 million unique views or even 15 million unique views. It can’t be certain, but the number is much less and narrowed down to maybe a few million people tirelessly dedicating time to continually streaming the video using some of the methods listed above. There are also campaigns on social media, usually Twitter, where fans use hashtags to get the attention of conglomerates, celebrities, or media outlets to possibly have their favorite group get some exposure. Recently, due to the efforts of fans who used the hashtag #BringGOT7toGDNY and a receptive host on the show, the group landed an interview. Moreover, as the Korean entertainment industry works to combat such manipulation, fandoms creatively find ways around the new rules. On another note, it will be interesting to see how they work around the overnight freeze of real-time charts, which was a prime time for groups to get to number one spot and retain it through the day. All of this inflation has led to a bubble with a lot of air, and bubbles always pop. Both BTS and BLACKPINK’s (I am using them because of their achievements this year) 2018 releases have over 100 million views on YouTube and have been mentioned by Billboard and have either appeared in or hinted at expanding into the Western music scene. Yet, I usually the run-of-the-mill reaction videos to their songs, discussion between old fans (and some new ones) about the nuances of the video and the songs. The numbers and media hype all point to these being massive viral hits. Gaining over 30 million views in a day is huge! So it’s a hit, right? In short yes, the songs are a hit for their fans. However, what always gets me is how some songs are mentioned on some U.S. based music charts and their gain millions of videos in such a short period and yet I don’t hear these songs on the radio, and their impact on global pop culture is minimal. This year Childish Gambino released his highly political song “This is America” which hit the 100 million mark in about three days. From the moment it came out it became a sensation. People who did not even listen to the singer, rapper, and actor before watched the video, multiple articles were written on the song’s significance and historical references, and threads appeared on social media where people heatedly discussed the discourse of the song and the video. Later parodies, memes and other internet entertainment using the song as inspiration appeared and accumulated millions of views alone. More, when you think about some other past viral hits like Ylvis’ “The Fox (What Does The Fox Say),” “Gangnam Style,” “Turn Down For What,” and “Despacito” (featuring Justin Beiber), their impact was huge! These songs were on the radio every seven minutes and changed pop-culture worldwide from fashion to dance and speech. Even now, at the 2018 Olympics in Pyeongchang people were upset that Psy wasn’t there to perform “Gangnam Style” six years after it first took over the world. Additionally, since songs can still be played months after their releases, I listened to my local pop radio station located in the San Francisco Bay Area for about an hour to see what came one. 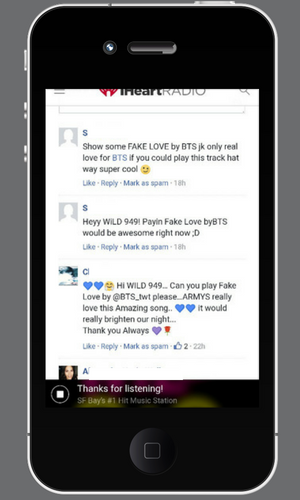 I didn’t catch any K-pop songs in that time, but I did see a campaign from some K-pop fans in the comments section. The current upswing of K-pop reminds of the U.S. housing bubble and the 2000s Latin Pop Boom characterized by Shakira, Ricky Martin, J.Lo, Enrique Iglesias, Pitbull, and reggaeton. The first burst in 2007 and the Latin Pop wave that entrenched the U.S. fizzled out for more than a decade before the “Despacito” remix. So much media attention and frenzy like behavior ultimately led to unforeseen ends. The fraudulency behind the number in K-pop today, this over-inflation will, in the long run, be detrimental. When things are blown up without the proper and real support to back it up the bubble get bigger and bigger until it inevitably pops or is simply forgotten.